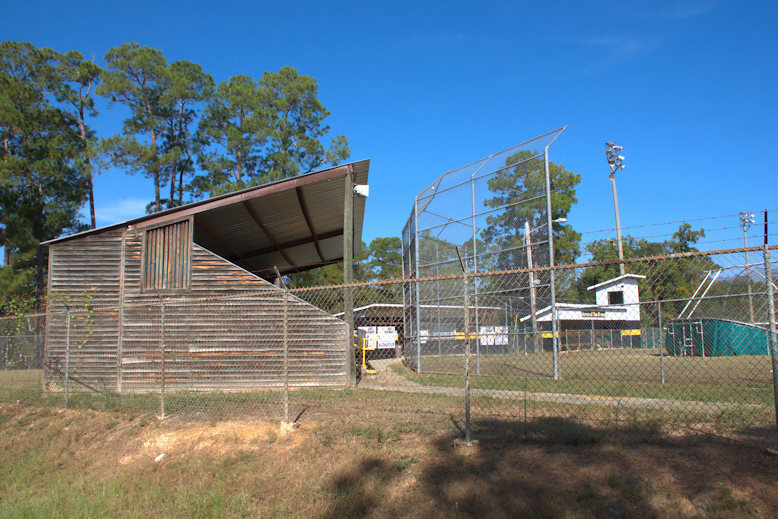 Georgia is lucky to have three landmark minor league parks dating to the 1920s [Golden Park in Columbus (1926); Grayson Stadium in Savannah(1926); and Luther Williams Field in Macon (1929)], but none is as old as Sylvester’s historic Pope Park. It’s been in continuous use as a baseball venue since 1910. 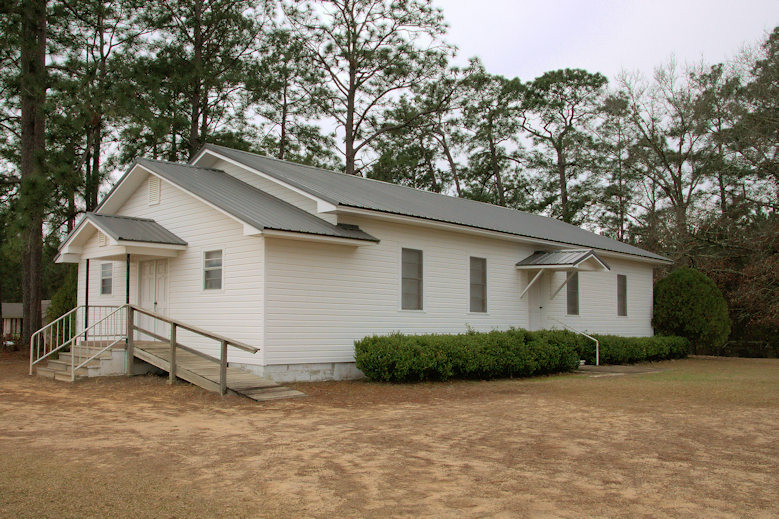 Named for Colonel John D. Pope, it has hosted amateur, semi-pro, American Legion and county league teams throughout its history. It’s presently home to the Worth County Rams high school team. 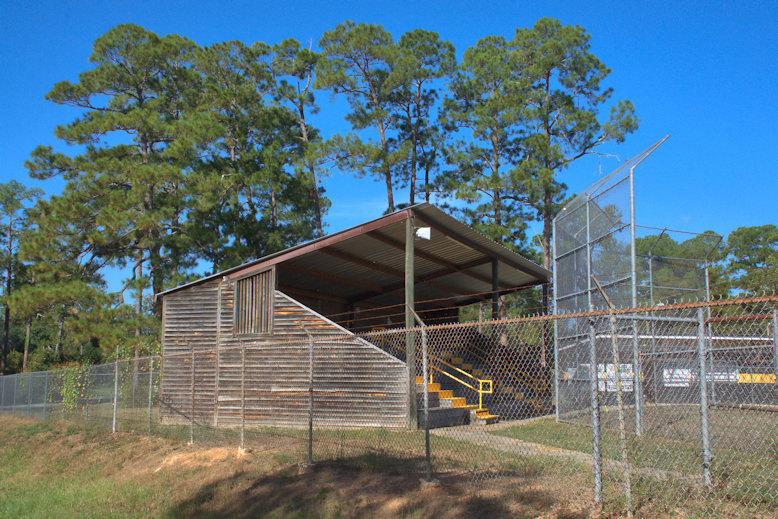 The wooden grandstand is a rare sight in the modern era of baseball and is the centerpiece of Pope Park. 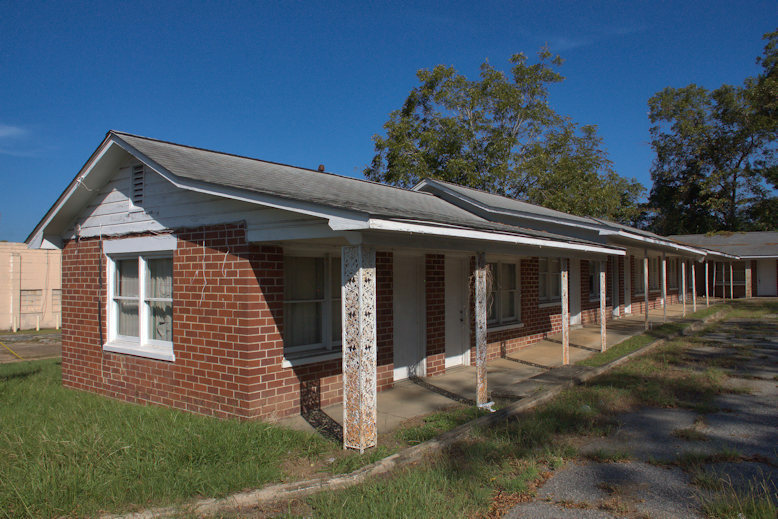 The property is maintained jointly by the City of Sylvester and Worth County High School. 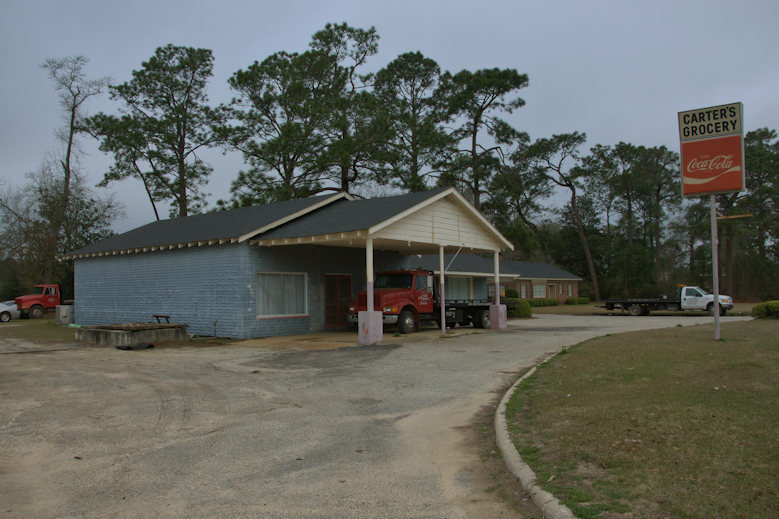 This was one of numerous motor courts along busy U.S. Highway 82 built between the 1930s and early 1960s. This was likely built around the end of World War II. The wrought iron posts are obviously later additions, as they aren’t visible in the vintage postcard, below. 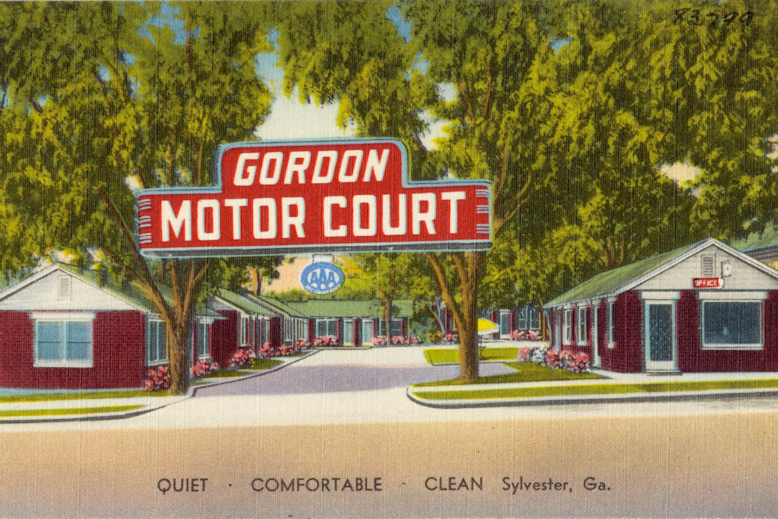 Linen postcard, circa 1945. Courtesy The Tichnor Brothers Collection, Boston Public Library. 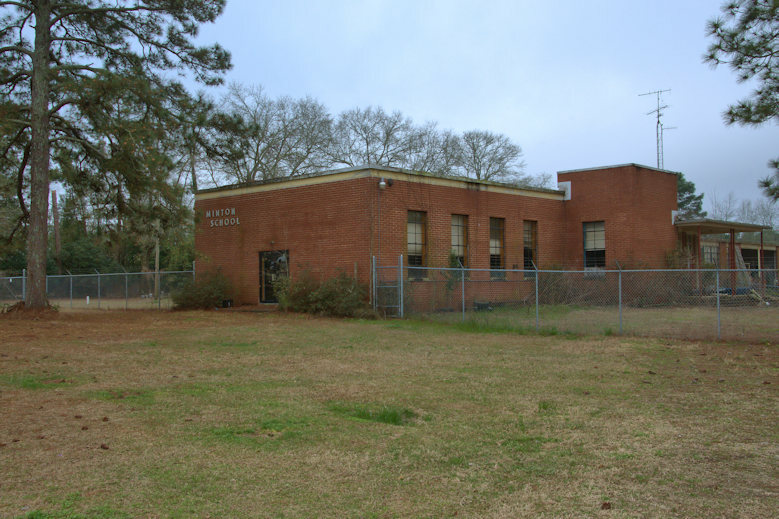 The earliest reference I can find for this school is 1954; it likely dates to that time, if not a few years earlier. 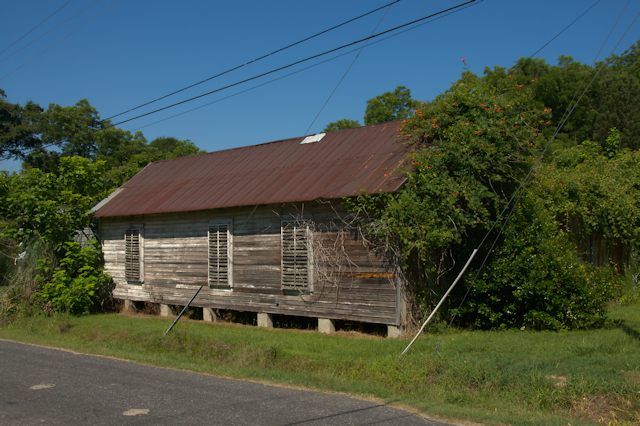 I first thought this to be a commissary but Hugh Harris West writes that this was not a commercial structure. 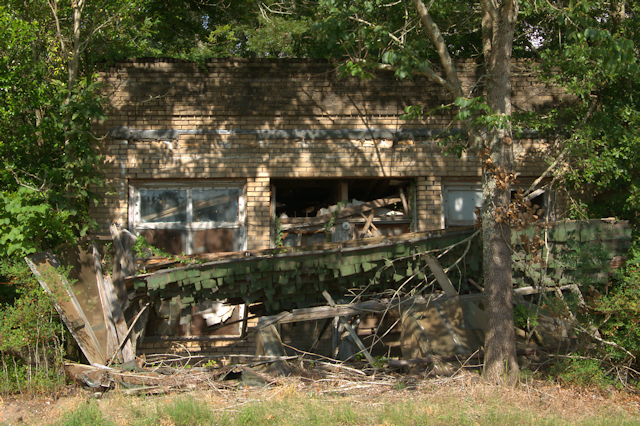 It was a shotgun cotton mill house and I knew the families who lived there in the ’40’s and ’50’s. There was an identical house to the right of this. I do not know what is stored, if anything, in this structure now. The exterior window treatments were changed when it ceased to be a dwelling.